(BRAIN) — In this episode of the Shift Up Bike Industry Podcast, host Arleigh Greenwald talks with Kristi Mohn from the Dirty Kanza gravel race about the growth of this event, getting more women into the sport, the impact of the race on the economy in Emporia, Kansas, and more. (BRAIN) — In the newest Shift Up Podcast episode, show host Arleigh Greenwald talks with Nedra Deadwyler from Civil Bikes about using bikes as a gateway tool, celebrating our history and storytelling, and how she uses bikes (and walking) to help people explore the city of Atlanta. (BRAIN) — How will Yamaha position themselves as they enter the United States market with their power assist electric bikes? 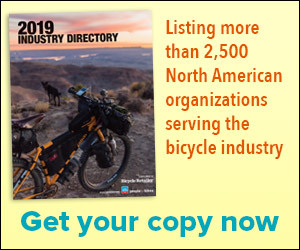 Podcast host Arleigh Greenwald, a bike retailer and industry marketing veteran, talks with Drew Engelmann, the U.S. sales and marketing manager for Yamaha bicycles. (BRAIN) — Spinlister, the Airbnb of bike rentals, is back with new ownership and a fresh view of the sharing economy. (BRAIN) — "How hard can it be to run a trade show?" Jim Kersten asked himself after hosting Chicago-area retailers at Interbike social events. DENVER (BRAIN) — In the latest Shift Up podcast, host Arleigh Greenwald takes her regular quarterly look at the State of the Industry. This time, she is joined by BRAIN's editor, Steve Frothingham. You can play the podcast from the article page or you can subscribe via most podcast apps or Spotify.